An aviation drama, Test Pilot in an excellent combination of airborne thrills and complex on-the-ground emotional turmoil. Jim Lane (Clark Gable) is a dashing test pilot tasked with the dangerous job of flying and testing the speed and altitude limits of new and experimental aircraft. His sidekick and mechanic Gunner (Spencer Tracy) is a lifelong companion, and the two men have a deep friendship. Lane gets his assignments from the US military through businessman Drake (Lionel Barrymore). On a cross-country flight to set a new speed record, Lane encounters trouble and lands in a Kansas field, where he meets feisty farm girl Ann Barton (Myrna Loy). The two hit it off immediately and get married within a day. After Jim and Drake have a falling out, Anne is properly exposed to Jim's world of risk taking, hard drinking and the constant danger of death. Gunner perceives Ann as a distraction and a threat to the friendship between the two men. Although Jim does his best to make the marriage work, the spectre of tragedy hovers over the couple and takes an emotional toll. Directed by Victor Fleming, Test Pilot is a perfect mix of adventurism and human drama. The airborne photography celebrates the burgeoning birth of the aviation era for both military and civilian uses, but the film also soars on the ground: this is a story of love, friendship, and the compromises needed to make life happen. A love triangle with a difference, Test Pilot gains most of its momentum from Jim Lane as the irresistible centre of attention for both Gunner and Ann. The destiny of the two men is inexorably linked, and Gunner is Lane's guardian as much as Lane is Gunner's reason to live. When Ann marries Lane on a whim, the careful equilibrium between the two men is disrupted. Fleming and his team of script writers (including Howard Hawks) handle the ripple effects of the unexpected marriage with a clever sensitivity, with Gunner carrying the paradoxical burden of wanting Lane to be happy but realizing that Ann does not know what she signed up for. Spice is added through the hint of attraction that Gunner also senses towards Ann. Up in the air, Test Pilot offers plenty of thrills and action, with regular interludes of flying, racing, and mid-air mishaps. The special effects team members earn their salaries through some terrific model work, with more than one airplane encountering serious trouble and landing with spectacular inelegance. 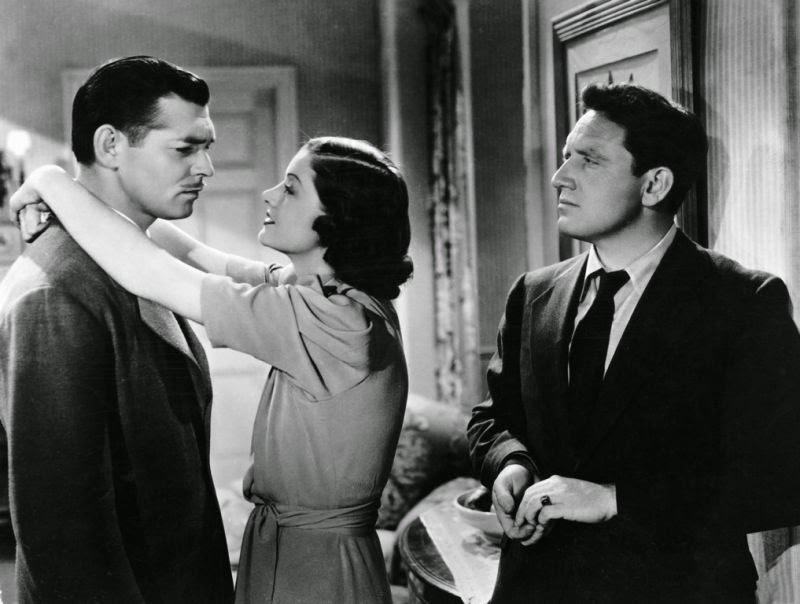 The perfectly cast trio of Clark Gable, Spencer Tracy and Myrna Loy infuse Test Pilot with potent star power. 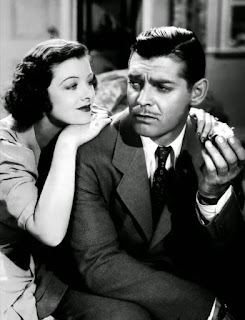 Gable as Jim Lane is all about dashing charisma. a man who laughs in the face of death and drowns the reality of his absurd risk-taking in large volumes of alcohol. Tracy is much more cerebral as Gunner, the mechanic on the sidelines of Lane's life and therefore in a better position to assess Lane's trajectory. Loy has the most difficult role as Ann Barton, and is exceptional in first finding infatuation with a man who literally drops from the sky to scoop here away from a boring farm life, then coming to terms with what it means to marry a man who fences with death as a career. Lionel Barrymore adds depth as businessman Drake, and Test Pilot is an early look at the world of industry comfortably holding hands with the military to advance weapons of war. Test Pilot soars when the machines are in the sky and is just as enthralling when the stars are on the ground.